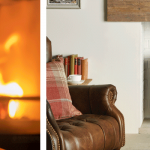 Gazco’s Riva2 500HL Slimline caught the attention of the judges at Your Home magazine, with its slim footprint, cavity wall installation, and convenient gas fire heating technology. 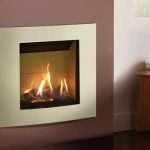 With the ability to emulate a real fireplace, this compact gas fire presents a true-to-life fuel effect that takes up minimal space in a home. 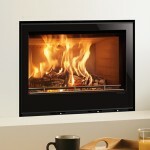 Read more about why the Riva2 500HL Slimline won best heating product on our blog. The Stovax Elise won the Gold Award in House Beautiful’s Best Heating Appliance category, selected for its Ecodesign credentials. 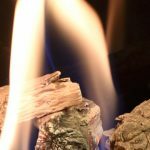 This wood burning fire minimises emissions to a minimum, whilst also offering beautiful rolling flames in a sleek inset finish. Read more about why the Elise won best heating appliance in our article here. We were thrilled to see three products selected as finalists for Best Stove of Fire at the 2018 Build It Awards. These were the Jubilee 10 from our distributed Nordic stove brand Lotus; the innovative multi-sided Reflex 75T gas fire which is now available to purchase at your local retailer; and the innovative Vogue Midi electric stove from Gazco. 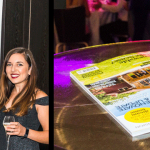 A huge achievement to have been recognised in one of the self-building industry’s most prestigious awards. Read more about why we were selected as finalists for best stove or fire on our blog. We were also recognised as being worthy for the Build It Awards shortlist in 2017, making it into the Best Heating Product category with three stunning products from the Group’s range. 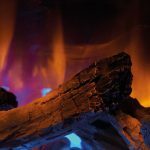 The Vogue wood burning stove from Stovax was chosen for its innovative design and Ecodesign compliant combustion, whilst the Skope electric fire from Gazco was selected for its eye-catching visuals and LED mood lighting. Read more about this achievement here. 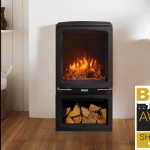 Stovax & Gazco have also been deemed the UK’s Best Stove Manufacturer by BUILD magazine, recognising our innovative attention to design, whether across our electric stoves and fires, gas fireplaces, or wood burning stove range. Read more about why we were selected best stove manufacturer in the UK on our blog. If you are interested in any of these award-winning stoves and fires, contact your local retailer who will be able to advise you on which products can work in your living space.